From a getaway condo in Lake Lure to a majestic mountain top log home in the Smokies, buyers can still find great values on NC real estate. 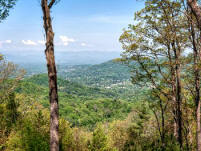 North Carolina Mountain real estate is a great investment for your wallet as well as your spirit. 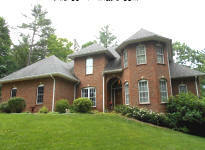 NC homes and land are available in all prices ranges and styles. Resale NC homes can be a great value and may even include furnishings, ready for your own mountain getaways, to use as vacation rentals or some of both. Buy a log cabin home in Western North Carolina and let the vacation rental income pay off the mortgage or add to you retirement income. 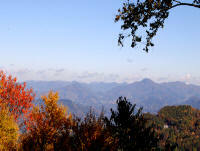 You can also purchase NC land or acreage and build your mountain dream home now, or when the time is right. Stephen A. Towe & Co., Inc.
A private community offering pristine shorelines, resort-style amenities, planned activities, miles of hiking trails and convenient access to the best of Western North Carolina. Purchase a homesite, read-to-build lot or existing available home for full time mountain living or a special vacation getaway. The Lakeside Adventure Center includes pool and hot tub, pavilion, fitness facility, amphitheater and fire pit, tennis courts, Expedition Center with canoes, kayaks and fishing equipment fishing pond, Trailheads to extensive hiking trail network both within the Lake James Community and in the Lake James State Park and more. Located between Asheville and Charlotte, just off I-40. 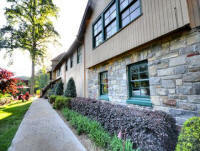 Get more details about living at Lake James HERE. A private and gated real estate community nestled on a mountain far above Waynesville NC offering stunning long-range views at altitudes ranging as high as 5,700 feet. The 800-acre development of cottages and large mountain home sites is filled with amenities and bordered by Pisgah National Forest and its 500,000 acres of nature. Bear's Den Log Homes, LLC.